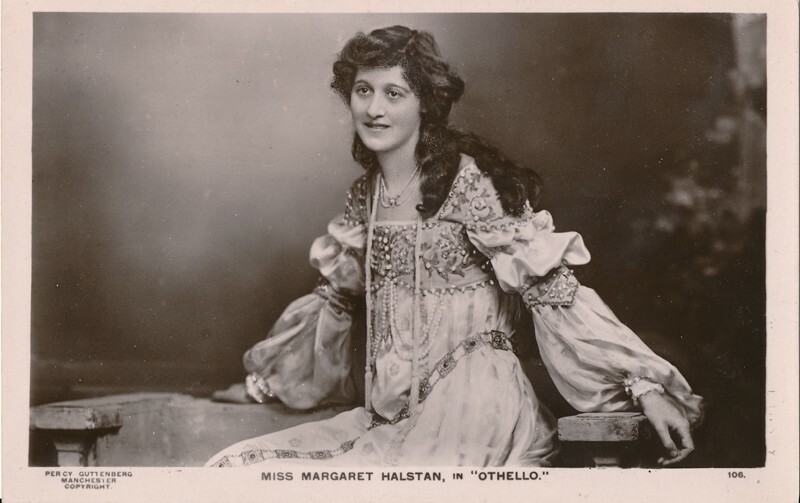 Playing first in amateur productions, Margaret Halstan became a professional actress in 1895 at the Haymarket Theatre in a walk-on part in Trilby. 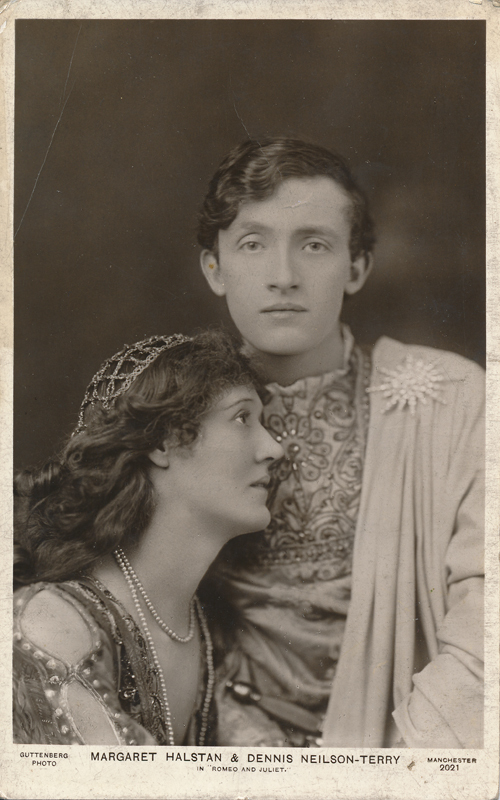 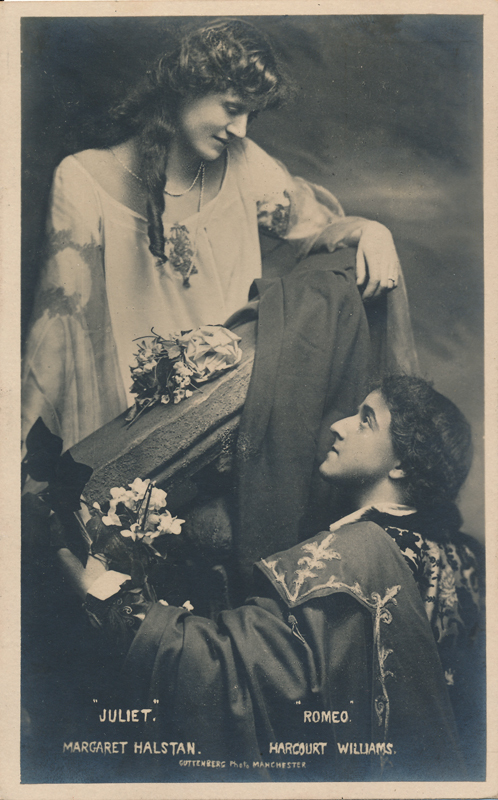 Her first part in Shakespeare was a small one; she was the Player Queen Hamlet with Herbert Beerbohm Tree‘s production of the play. 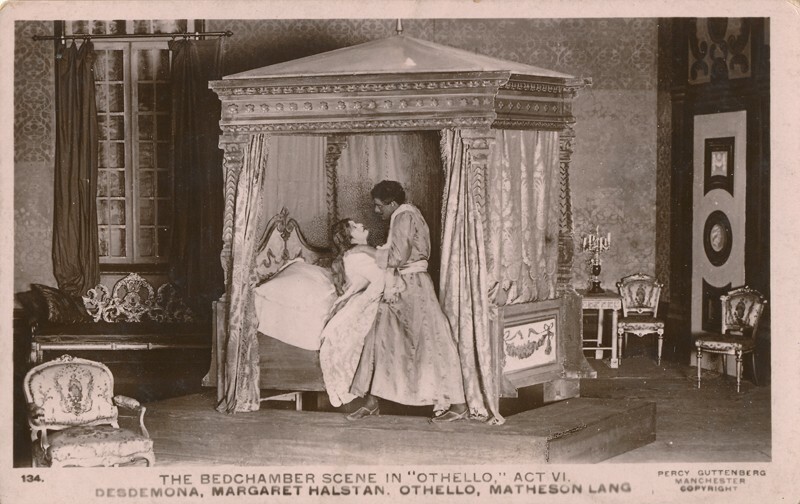 In 1897, she played Octavia in Antony & Cleopatra and then that same year appeared as Bianca in an adaptation of The Taming of the Shrew entitled Katherine and Petruchio. 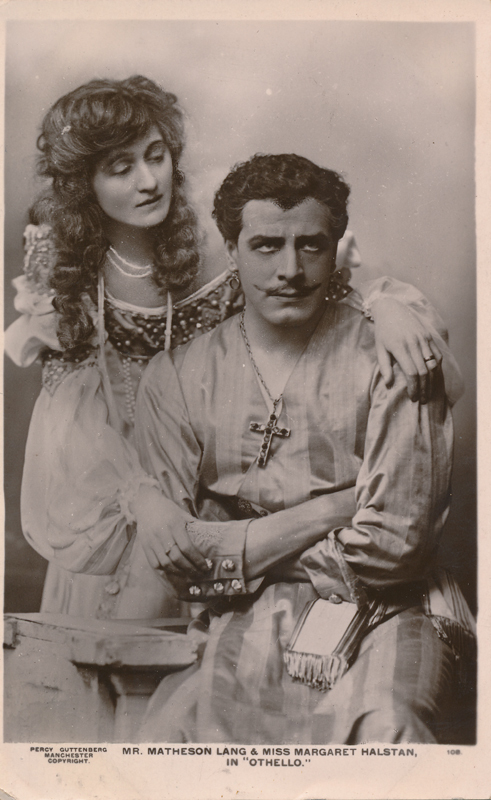 In 1900, she joined Frank Benson‘s company where she had ample opportunity to play Shakespeare; she appeared as Portia (The Merchant of Venice), Lady Anne (Richard III), Hero (Much Ado), and Volumnia (Coriolanus). 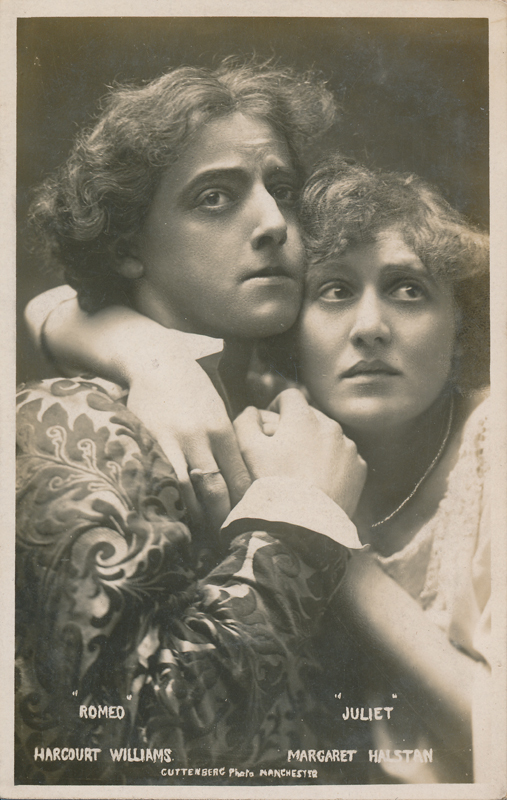 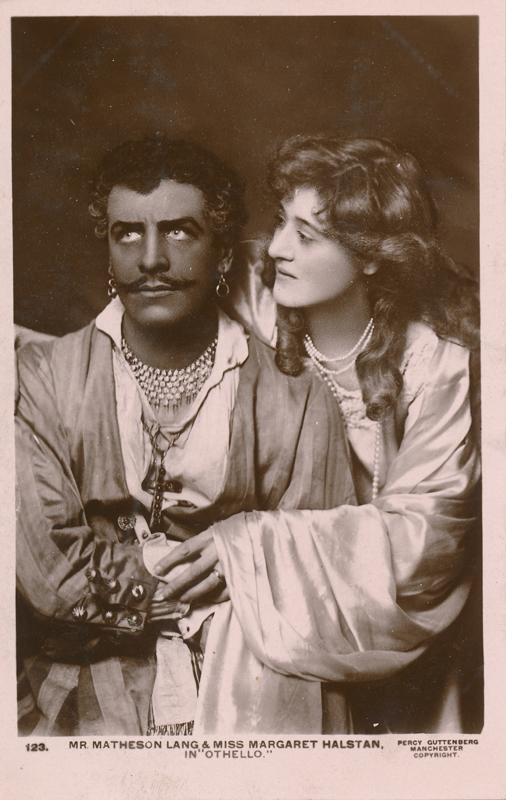 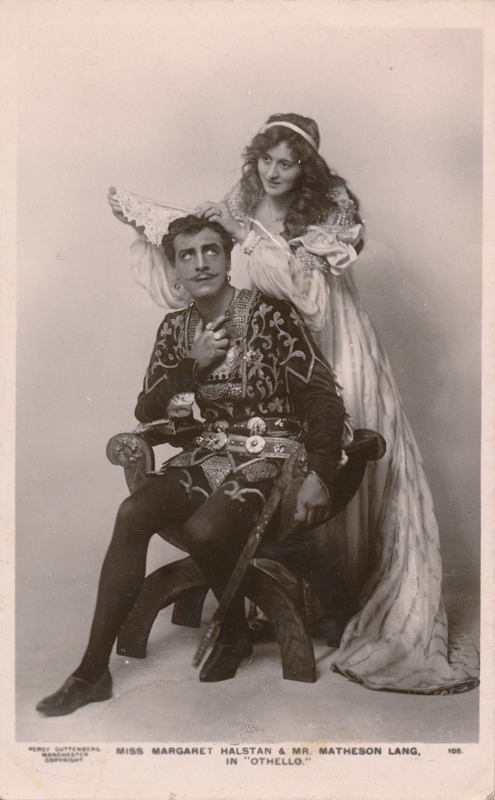 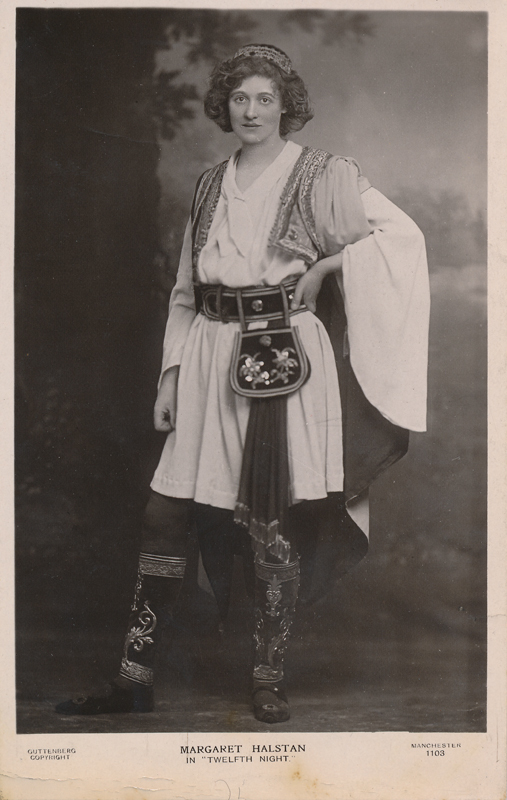 After touring with George Alexander’s group, she joined Beerbohm’s Shakespearean Company in 1904, and after that played many more Shakespeare parts: Anne Page, Calpurnia (Julius Caesar), Olivia (in 1906 and 1910), Juliet, Desdemona, and Rosalind (1908 and 1916). 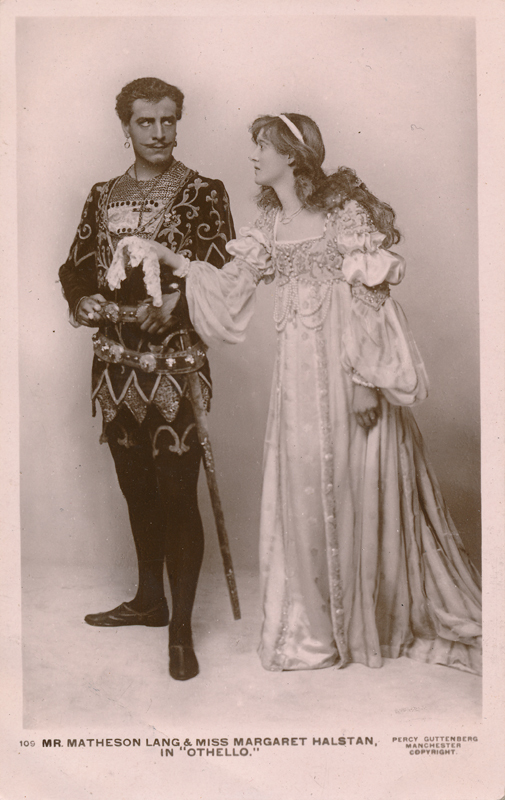 She played in Stratford in April 1909 as Imogen and Ophelia and Juliet again in 1913. 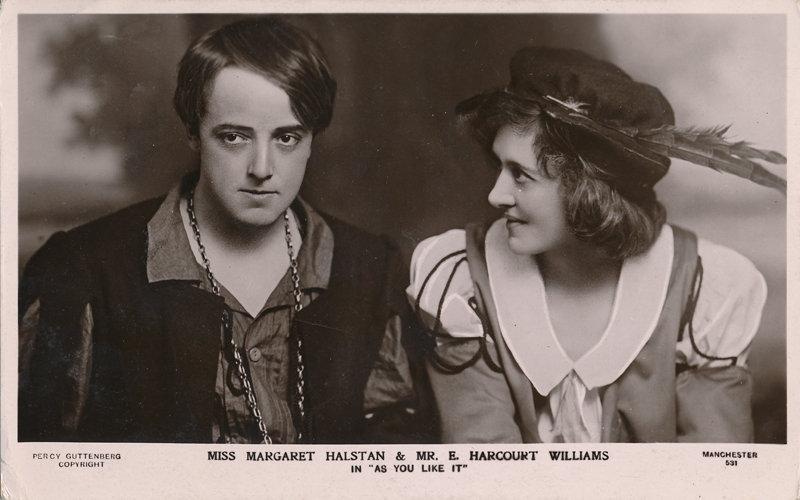 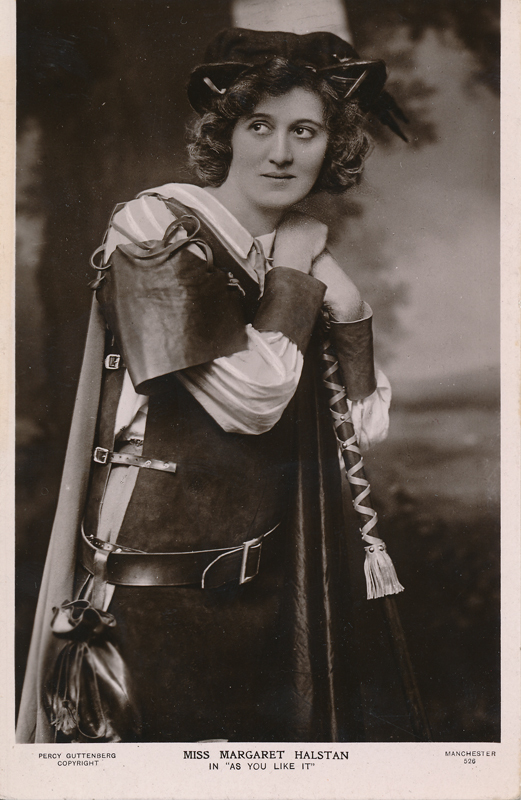 Her role as Rosalind in 1916 may have been her last Shakespeare performance. 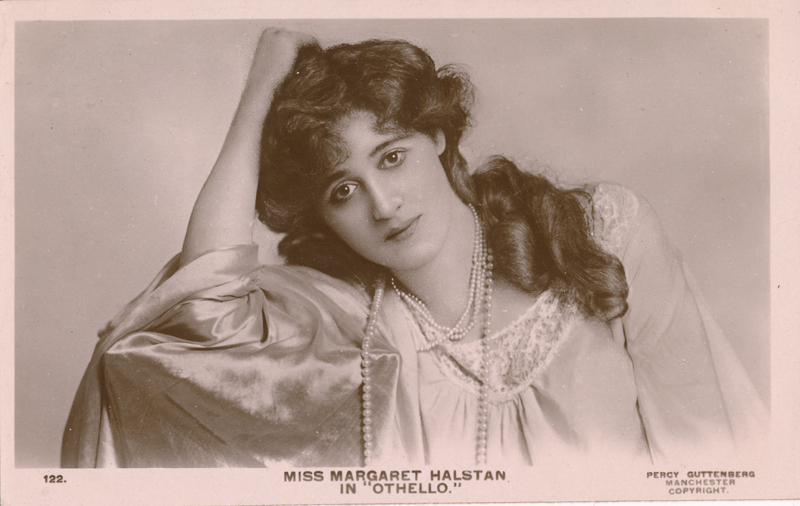 Her early training as an actress was, however, primarily in Shakespeare’s best female roles. 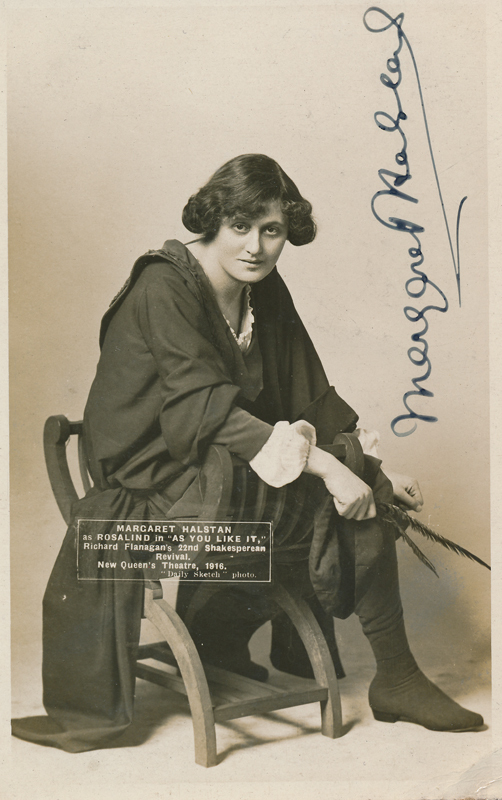 She played dozens of parts in popular plays during her long career, and she was busy with films as well. 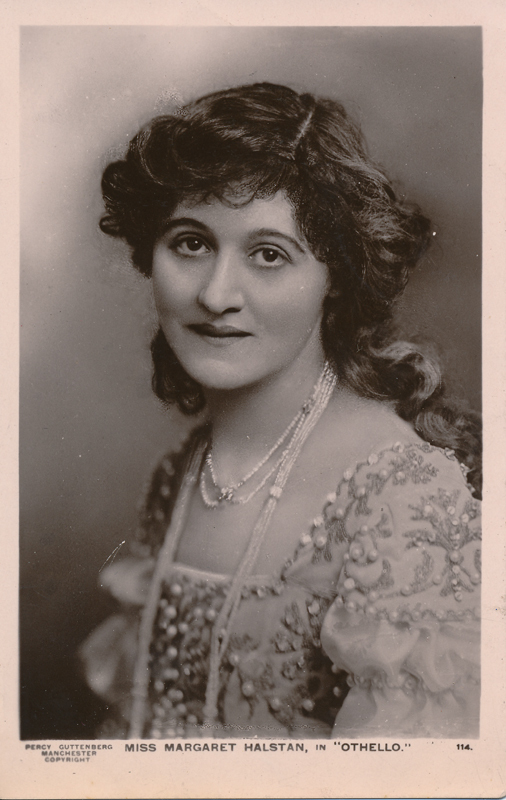 Between 1917 and 1957 she played in fifteen films. 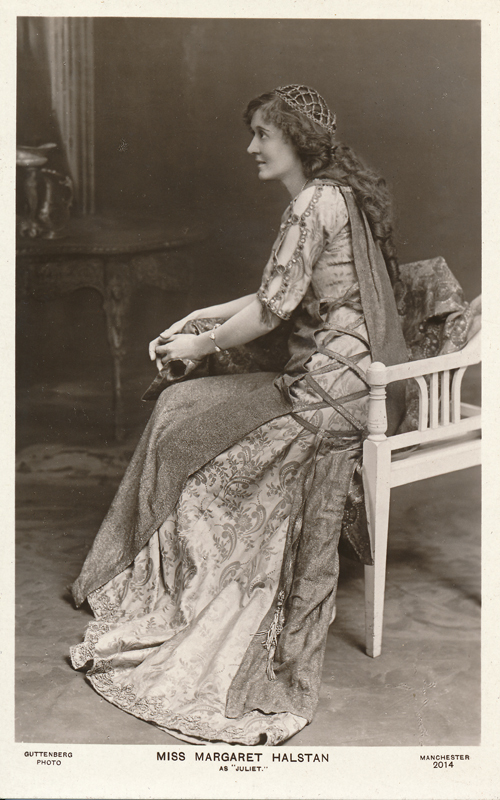 The most notable of her parts was one she played several times on the London stage; she played Aunt Lydia in George O’Ferrall’s 1952 film version of The Holly and the Ivy, a sentimental but poignant story of a Christmas gathering of a family.